Why do so many clothing companies forget that scrub pants are work pants? They're not pajamas, they're not for casual wear -- they're an important part of your occupation. That's why these WonderWink 5006 NVY Navy Men's Papa Scrub Pants have storage space and work- ... (see full details) (see specifications) #WWI5006-NVY. Why do so many clothing companies forget that scrub pants are work pants? They're not pajamas, they're not for casual wear -- they're an important part of your occupation. That's why these WonderWink 5006 NVY Navy Men's Papa Scrub Pants have storage space and work-friendly features that help you get back to doing what you do best. These navy blue scrub pants are ready to work. They're made with a tough twill blend of 65% polyester and 35% cotton fabric. Wrinkle-resistant polyester is quick-drying and durable, fabric that's easy to wash and wear without fussing around in-between. The soft cotton for these WonderWink scrubs adds touchable softness and heat-releasing breathabilty. When you're in motion, you need to stay cool. Use the convertible drawstring to get a perfect, custom fit every time. Truck the drawstring inside for a smooth look, or leave it outside these WonderWink scrub pants to change up your style. The seamless fit is comfortable and functional either way. An ID bungee loop makes it easy for you to add your identification or pass card with ease. Four different pockets provide plenty of storage space. WonderWink 5006 NVY Navy Men's Papa Scrub Pants know you need to work, and they know what you need to get the job done. Great product, the fit and feel is just right. Great quality, the weight of the material is just what was expected, not too light not too heavy, absolutely perfect. Wonderfully thought out pattern & design! Overall quality at an excellent price you just can't go wrong! 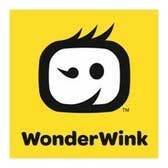 What's not to like about WonderWink Products? WonderWink Scrubs: Men's Papa Scrub Navy Blue Pants 5006 NVY is being added to your cart.